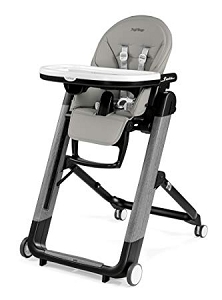 Agio Siesta High Chair in Black | Shop Top Rated Baby Gear at SugarBabies! 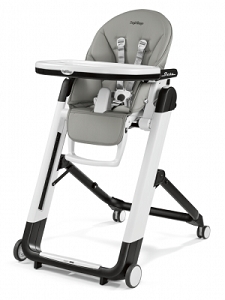 The Agio Siesta High Chair by Peg Perego is there from the beginning. 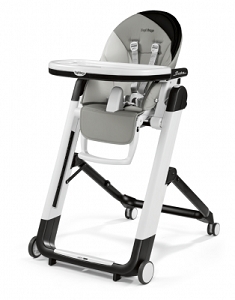 The multi-functional Agio Siesta is an ultra-compact high chair that easily accommodates your child's growth. 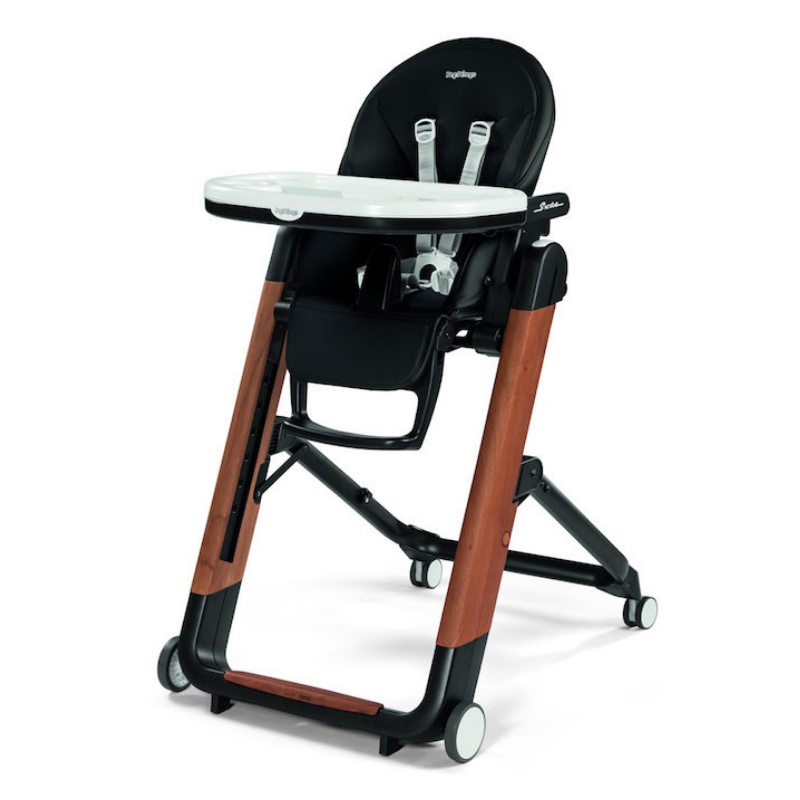 From birth, the Sietsa can be used as a recliner or as a high chair for feeding, playing and resting. 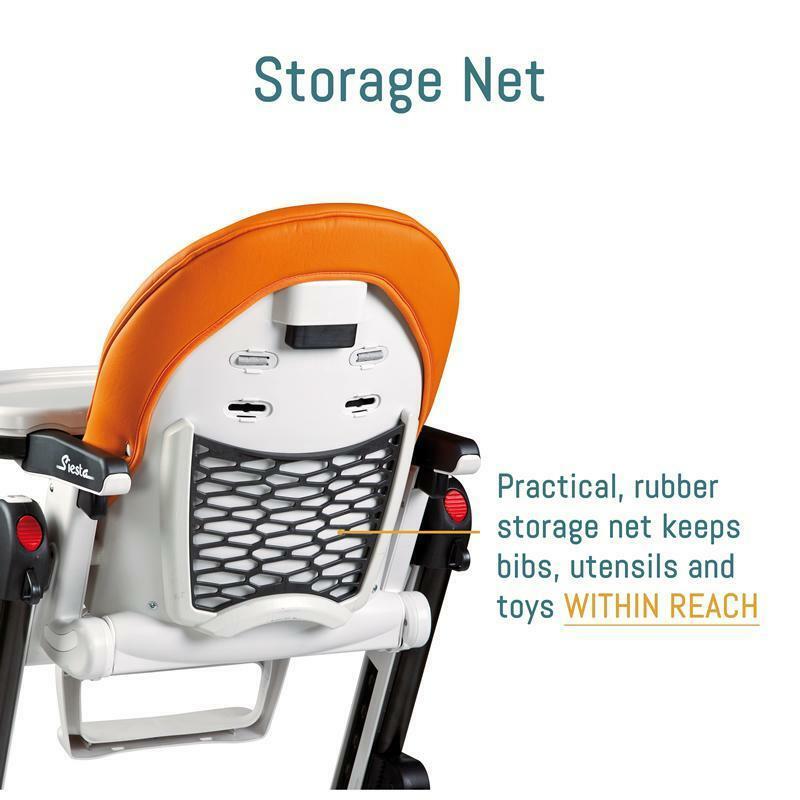 The removable tray and multiple height settings also allow baby to sit with you at the table. 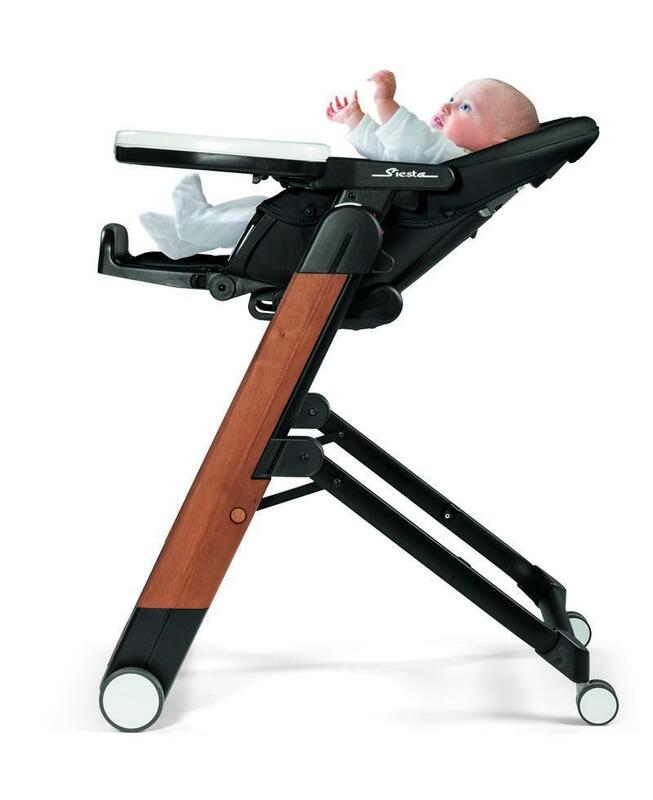 Agio Siesta features wood grain accents. 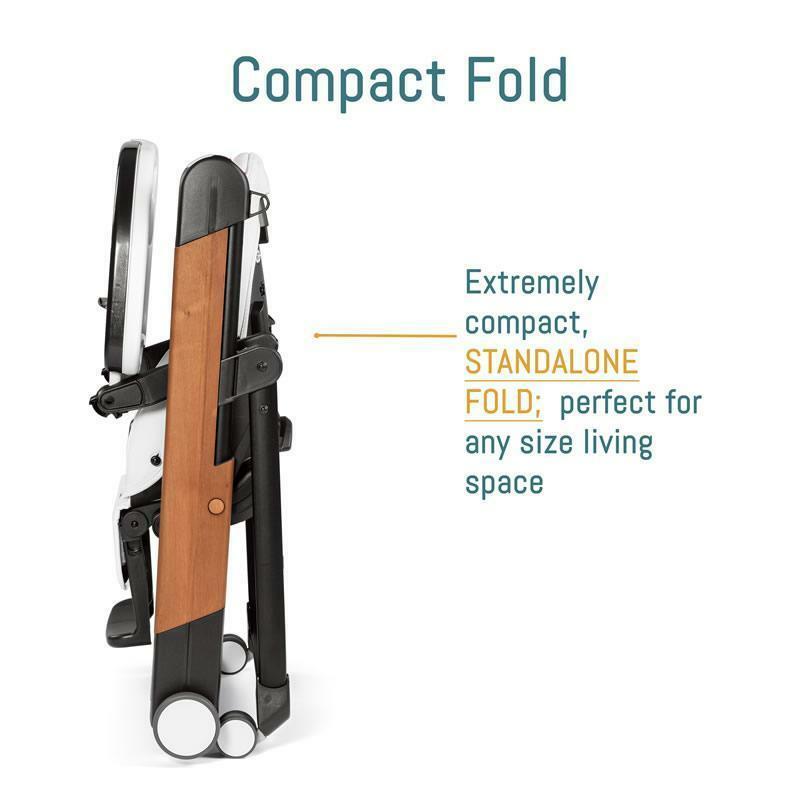 Compact Fold: Extremely compact, Standalone Fold. 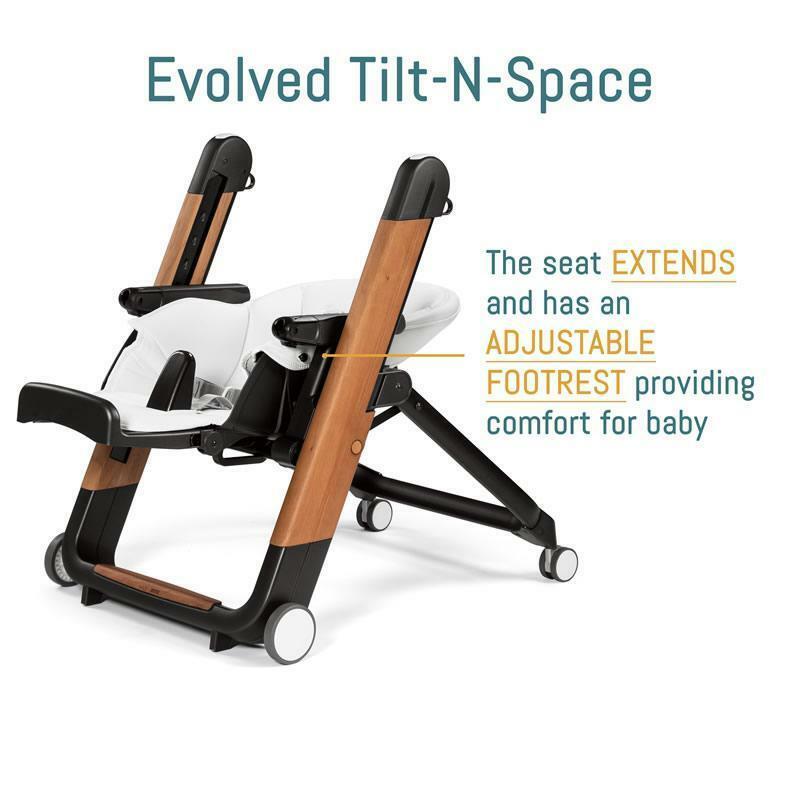 Perfect for any size living space. 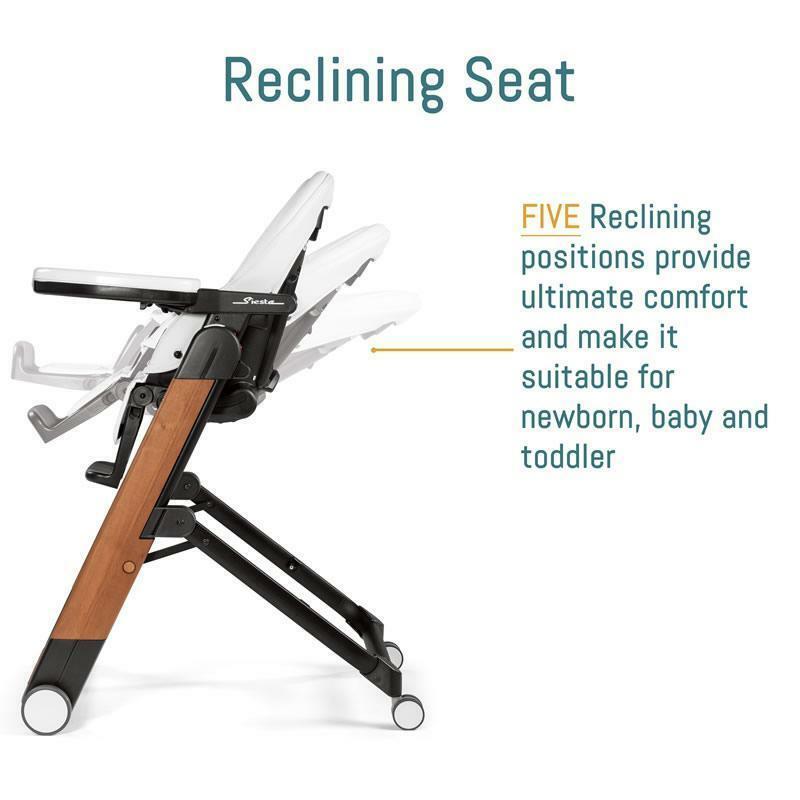 Comfort Recline: Seat fully reclines and extends to provide maximum comfort for child. 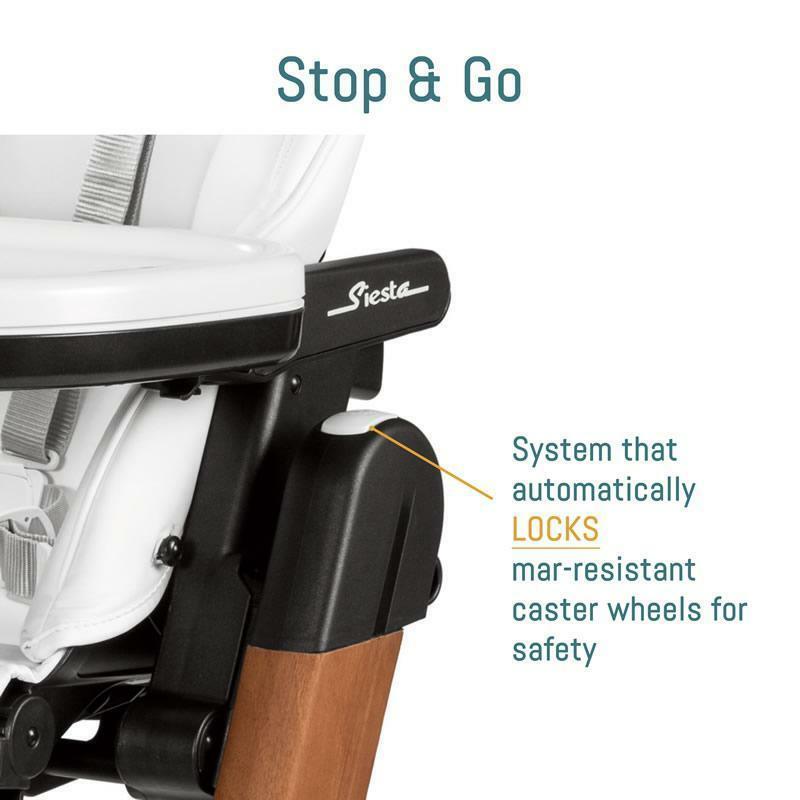 Stop & Go System: Mar-resistant caster wheels lock for safety. 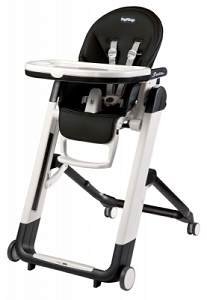 Release the buttons to allow easy maneuverability from room to room. 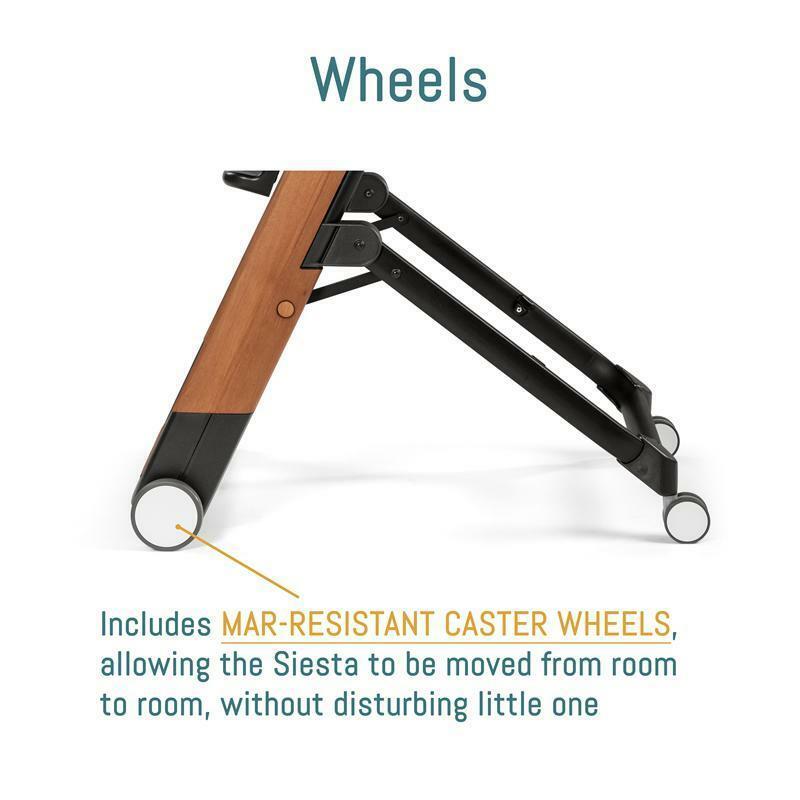 Wheels: Includes mar-resistant caster wheels, allowing the Siesta to be moved from room to room without disturbing the little one. 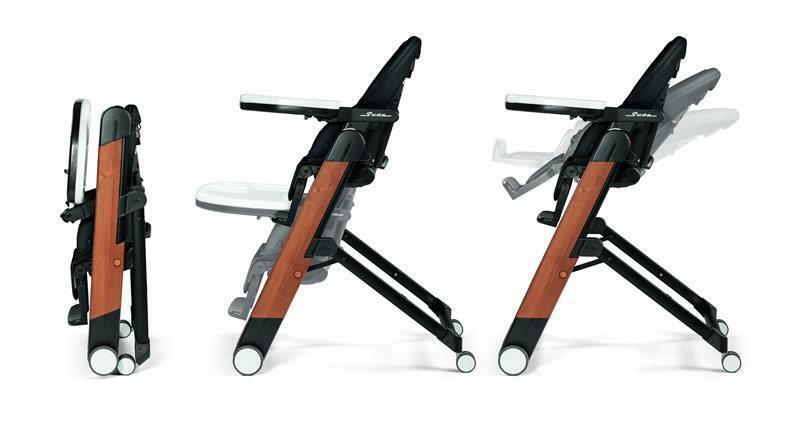 Dimensions: 29-3/4" x 23-3/4" x 41-1/2"
Dimensions ( folded ): 12-1/2" x 35"